On September 7th, the UN Programme on Youth is hosting a side-event on youth with disabilities in cooperation with the NGO Leonard Cheshire Disability, the Secretariat to the Convention on the Rights of Persons with Disabilities, UNICEF and UNESCO. 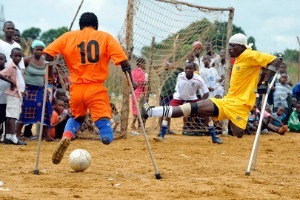 Young people are key partners for development, and those with disabilities are no exception. Yet for many, isolation, abuse and lack of opportunity are daily experiences, leaving them among the world’s poorest and most marginalized people. Young people with disabilities have much to contribute to the development initiatives and in promoting inclusion and participation. Join us in discussing how young people with disabilities are key agents in bringing about positive social and developmental change.